Sarah Traver, daughter of gallery founder William Traver, grew up immersed in the glass art world and is now president of Traver Gallery. "Here in Seattle there's this idea of glass being beautiful blown-glass vessels. We're also lucky to be in this community where there are so many artists who are experimenting with the material, so we really wanted to highlight that," Traver told the GLASS Quarterly Hot Sheet by phone, adding that over the last decade, the gallery has looked to celebrate glass artists that are "challenging our ideas about how glass is used and what the material is capable of." Last year, Kiley presented 10,000 MPH at Traver Gallery, what Traver called a hugely successful show marking his first experimental series in three-inch-thick optical glass. He shattered each block of glass and then reconstructed it, leaving in each piece the lasting imprint of a single moment of destruction. He once told the GLASS Quarterly Hot Sheet that each break is uniquely specific to its molecular patterns, meaning no two fracture patterns can ever be the same. 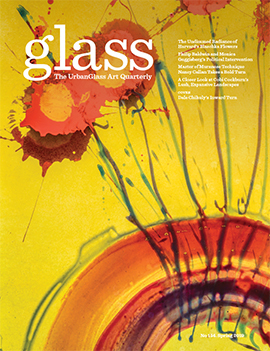 Kiley, a talented glassblower taught by the best--he was a gaffer for Dale Chihuly and a part of Lino Tagliapietra’s team-- continues his exploration of thick optical glass with his new body of work entitled 33’18” (thirty-three minutes eighteen seconds), which includes ten new sculptural pieces and a video document. He shattered each block successively (in 33 minutes and 18 seconds) using thermal shock by pouring molten glass on the blocks, capturing the process on video as he painstakingly reconstructed each broken block. Experimentation will continue in an adjacent room where Szosz and Mlasowsky combine their respective explorations in a presentation of each of their experimentations called Interpolations. 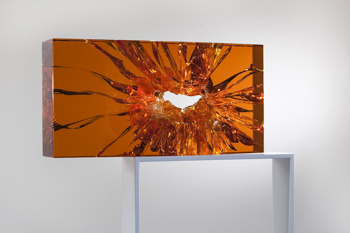 Szosz is an experienced artist who holds a masters in glass from Rhode Island School of Design (RISD). He is known for his development of new sculpting methods and video work examining his process. Each piece is considered an experiment, resulting in unforeseen results. “I spend most of my time working with and managing failure. Failure is a great teacher. If you’re trying to take a process or a material toward the limit of your current ability, failure will quickly show you where those limits are,” Szosz previously told the GLASS Quarterly Hot Sheet. In his new series of work, Szosz spins glass threads through an antique rope making machine, knitting the glass together in patterns over existing three-dimensional shapes which melt away in the kiln process. 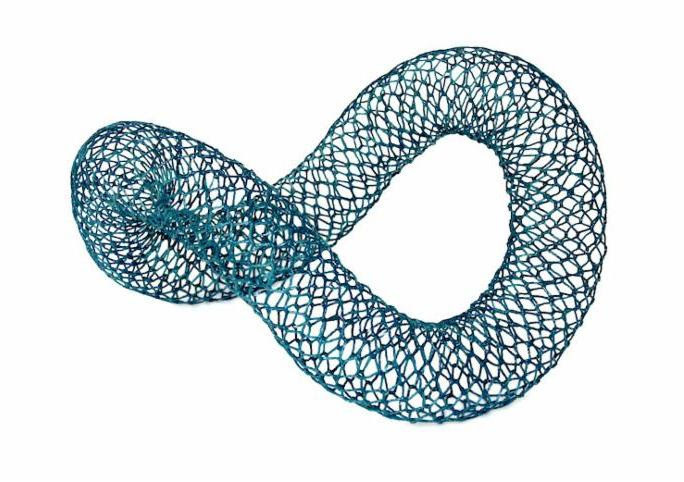 The result is intricate forms that highlight the negative space the underlying object once occupied. The other half of this husband-wife duo, German-born artist Mlasowsky, is pioneering a new method called moldless pâte de verre using thin glass shells and interior scaffolding in place of traditional casts. 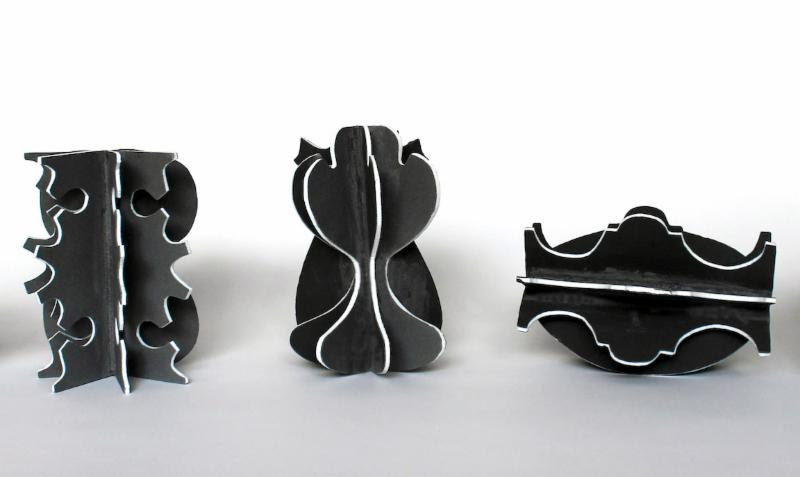 She has said this style allows her to transcend the boundaries of fixed molds and explore more complex shapes. Holding an M.F.A. 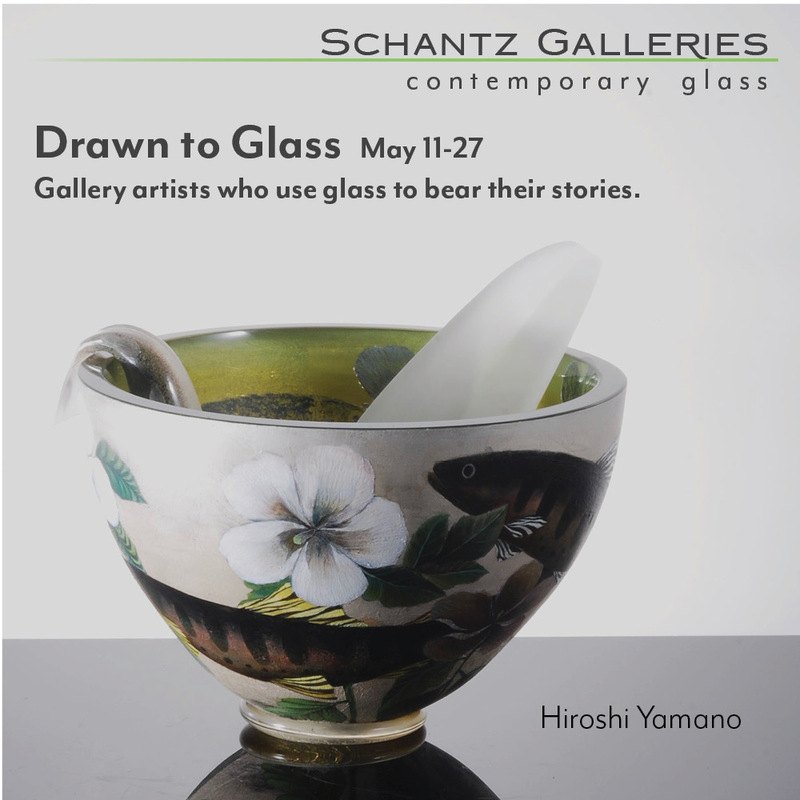 in sculpture from the University of Washington, she has been an artist in residence at the Corning Museum of Glass and the Toyama City Institute of Glass Art in Japan. While in Japan, Mlasowsky recorded her conversations with her husband and captured the mood and tone of each one in line drawings, which she made into paper cutouts. She then used the moldless method to recreate the objects in glass. Each work encapsulates a particular moment in her and Szosz’s relationship while she was away. Of the importance of experimentation with glass, Traver said, "It offers an opportunity for growth. Initially, it was about learning to use this material at all. We've grown past that-- in the glass community, there is all this shared knowledge about the technical. And there's this great opportunity now to go beyond that and see what's next." As artists change and methodologies change, she said, Traver Gallery plans to change with them.